Wendy Warren is the editor and vice president of Philly.com, which produces original video and online content and showcases the work of the city’s two daily newspapers, the Philadelphia Daily News and the Philadelphia Inquirer. 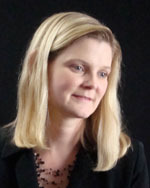 Prior to being named to her Philly.com role in May 2008, Warren was an assistant managing editor at the Philadelphia Daily News. She ran the newspaper’s news and online operations, including the Daily News’ multimedia project to cover the 2007 Philadelphia mayoral race, award-winning projects ranging from exposure of massive corruption in the city’s parking ticket office to coverage of the state takeover of city schools, and for eight years, she produced the newspaper’s “Rethinking Philadelphia” project, which called citizens together to push the city to innovate and improve. Prior to joining the Daily News in 2000, Warren was the business editor and a business writer at The Morning Call in Allentown, Pa., where she was named a Times-Mirror Journalist of the Year in 1998. Wendy Warren, vice president and editor, Philly.com, (The Philadelphia Daily News & The Philadelphia Inquirer), says The Philadelphia Daily News is a “very personal newspaper” because people in the community “believe they can speak to it” and The News listens.